When you work on a farm, there are a lot of things you step in that you'd probably like to avoid. But who has time to tiptoe around when you're hauling hay and such? Step with confidence, as long as you've got Xtra Tuf 22274G Men's Brown 16" Insulated Neoprene Far ... (see full details) (see specifications) #XTT22274G. When you work on a farm, there are a lot of things you step in that you'd probably like to avoid. But who has time to tiptoe around when you're hauling hay and such? Step with confidence, as long as you've got Xtra Tuf 22274G Men's Brown 16" Insulated Neoprene Farming Boots on your feet. Ankle deep muck is no big deal. They're 100% waterproof, so your feet stay dry. The Neoprene rubber has flexible, not stiff, hand-layered construction, so you can bend and move with ease. They give you protection from a wide range of acids, corrosives and contaminants for worry-free work. Because they're seamless, you know nothing's getting in there. The shells are triple-dipped for extra-tough protection, and the polymeric foam insulation keeps your legs and feet warmer. Your comfort is assured, too, thanks to the built-in cushioned insoles that have arch support to help fight fatigue. The Chevron outsoles and heels give you better traction on slippery concrete and other surfaces. You can wear them with added pride since they're made in the USA. The durability and comfort you get with Xtratuf 22274G Men's Brown 16" Insulated Neoprene Farming Boots makes your sunup to sundown days a little more bearable. And the fact that you can just rinse 'em and go helps, too. Step into a pair today! 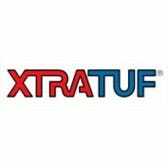 Xtra Tuf Boots: Mens Insulated Neoprene Farming Boots 22274G is being added to your cart.